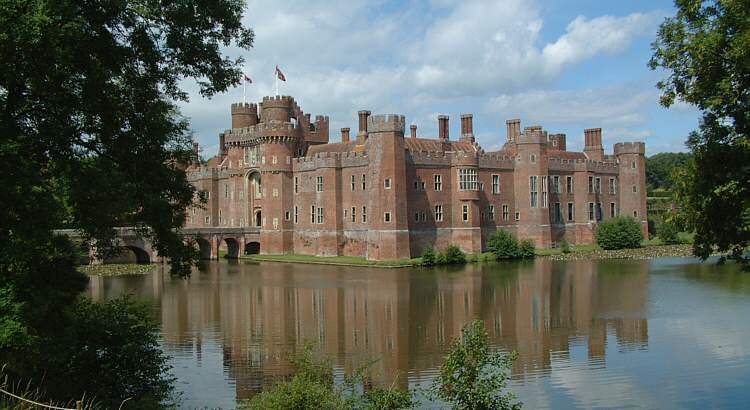 I have no connection with Herstmonceux Castle or Science Centre; this website is the result of an interesting day visiting the castle and science centre while on holiday in Kent. 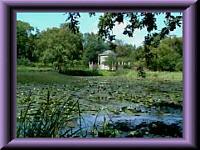 I hope you enjoy the photography and the brief historical details presented below. 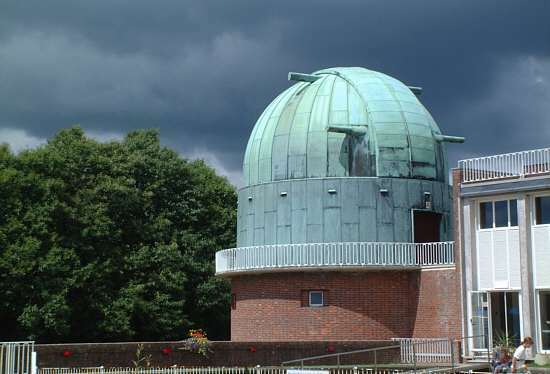 Herstmonceux was the second home of the Royal Observatory which was founded by King Charles II in 1675 at Greenwich, London. Its role was to chart and map the heavens in order to solve one of the great problems of the age; to be able to work out a ships longitude when out of sight of land. With a reliable clock that would keep 'Greenwich' time for weeks at sea which was produced by John Harrison in 1773, it was finally possible to calculate a vessels position. For this reason the Royal Observatory was part of the Admiralty who ran it until 1965 - the drainpipes on the many of the buildings sport 'anchors'! From 1965 the Science Research Council took over control. In 1880 Greenwich time became the standard time for the nation - a necessity brought about by the railways which required a standard time across the country to avoid chaos. In 1884 it gained the distinction of becoming the global point for measuring time and is to this day. However by the early decades of the 1900s, Greenwich had become a suburb of London and was not an ideal location for telescopes which require pollution free skies (from both smog and light) in order to function efficiently. 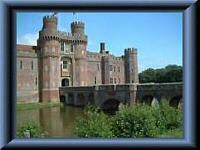 In 1946 Herstmonceux was chosen form a shortlist of five suitable locations. It was six miles from the sea in glorious, quiet Sussex countryside. It was also far enough away from towns to offer a sanctuary from light pollution. 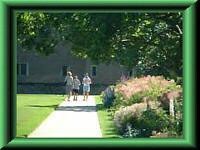 The site covered 370 acres. The castle, which was 500 years old when it was taken over, was the oldest brick building in southern England. It was built by King Henry VI. The castle became the home for offices, dining rooms, meeting rooms, library and overnight accommodation for the astronomers who worked the telescopes. It had however fallen into disrepair and was extensively restored, but due to post war shortages and local planning issues, was not completed until 1958. The original title 'Royal Observatory, Greenwich' as decreed by King George VI, was changed to 'Royal Greenwich Observatory, Herstmonceux'. The site was home to the Nautical Almanac Office and the Time Department. Until 1990 the BBC linked to Herstmonceux several times a day to get the 'pips' which were relayed to the nation (indeed the world) every hour. Patrick Moore had played a role in the 1960s in mapping the moon prior to the Apollo landing. But newer telescopes were being built at higher altitudes elsewhere in the world to escape spreading pollution. Despite campaigns to keep the observatory open, it moved to Cambridge in 1990 (minus the telescopes) - Cambridge now houses only the offices and no observations are carried out there. Patrick Moore described the loss as 'One of the worst pieces of scientific vandalism in modern times'. The site was bought by developers, much to the opposition of local people, to turn into a country hotel. Fortunately the developer went bankrupt and the site was eventually donated to Queen's University, Ontario Canada by Alfred Bader. The telescopes and associated buildings have been turned into a science centre and the public now have access to the site. The area was also home to a Met Office weather reporting station (the link provides near real-time weather information); radiosondes are still launched twice a day with equipment attached to measure and relay back weather information (temperature, pressure etc.) as the radiosonde rises through the atmosphere.